around 500 properties (villas, junior villas, apartments). – The complete masterplan has received all relevant planning and building permits. -Phase 1 (fully completed and operational since Nov 2010): golf course, club house with bar and restaurant, basic infrastructure. -Phase 2 (show home completed in 2015): 1st phase of residential development consisting of 60 units. -Phase 3 (construction to commence in 2016): First Phase of boutique hotel, consisting of 24 keys. -Phases 4 & 5 (construction to commence in 2015): Second phase of the hotel (40 keys), SPA, and village square (restaurants, coffee shop, gym, etc), and remaining phases of the residential development consisting of around 450 residential units. Total Area: 1,190,000 m². Total construction area: 130,000m² (allocated to residential, tourist and commercial development). Commencing date: 1st phase opened to the public in November 2010. Auditors: PricewaterhouseCoopers (PwC). Architects: Hart Howerton, Faldo Desin Ergo 7, MKV Design, Lighting Design International. Master planners: Sasaki, Hart Howerton. Awards: “Best Golf development in Europe for 2011” (European Property Awards), “Best International Leisure Development for 2011” (International Property Awards), Best Luxury Developer Europe 2012 –Gold (OPP Awards for Excellence). Paphos, Cyprus. 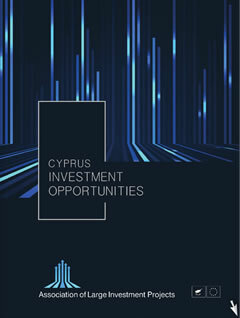 Strategically located with very close proximity to the Paphos International airport, the beach, and the Paphos town and all associate associated services and conveniences like hospitals, English schools, shopping malls, restaurants, etc.